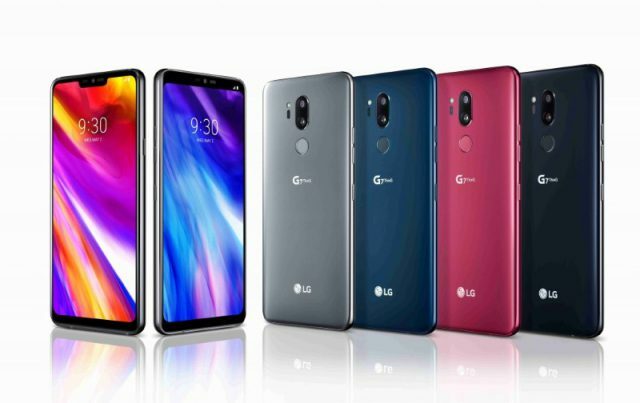 LG has unleashed its next-generation flagship smartphone, the G7 ThinQ, on the Australian market this week. The flashy, slick new device became available on June 7th from JB Hi-Fi and MobileCiti for a recommended retail price of $1,099, which is around the same price as Huawei's P20 Pro and slightly cheaper than Samsung's Galaxy S9 and Nokia's 8 Sirocco. Early adopters can also receive a free LG ThinQ Speaker valued at $299 with every purchase made before June 30th, in a move designed to further stoke demand for the highly capable new handset. The LG G7 ThinQ is the first flagship LG handset to bear the company's ThinQ branding, reflecting the use of AI technology to enhance the device's performance. This is particularly notable when it comes to the phone's 8MP front-facing camera and 16MP rear lens, with AI features supporting automatic calibration of settings and adjustment for low-light situations, as well as the ability to recognise and categorise the subjects of each photo. The device has also received an extensive aesthetic revamp, with a polished metal rim, a 6.1-inch QHD+ display, reduced bezels compared to the G6 and Super Bright Display LCD technology allowing the screen to be viewed even under direct sunlight. Other key features include its Snapdragon 845 processor, 4 GB of RAM, 64 GB of internal storage and its high-calibre Boombox Speaker, which makes the G7 ThinQ the first smartphone to offer DTS:X virtual 3D sound, as well as up to 7.1 channel audio when earphones are plugged in.